Waffled. Breakfast. Quesadillas. How fun are these? Heat waffle iron and then, using a brush, coat waffle iron with canola oil. Place ½ cup scrambled eggs onto half of one tortilla, then layer with cheese and three bacon pieces. 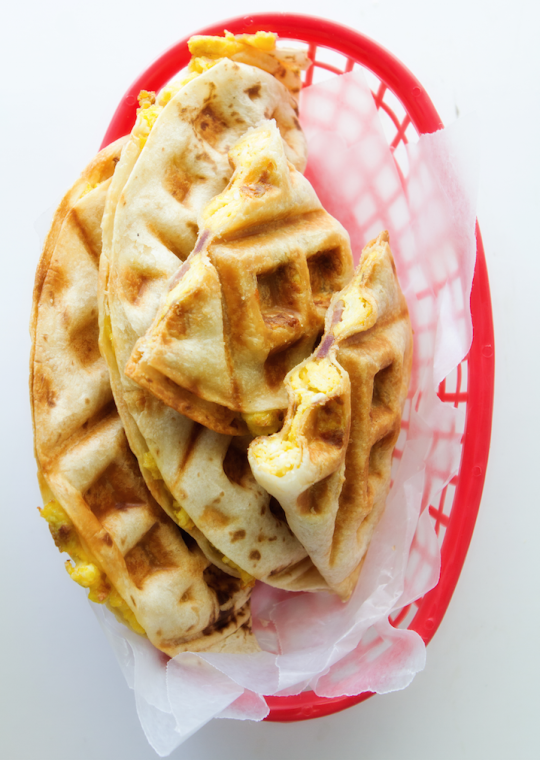 Fold other half of quesadilla over and transfer to waffle iron. Clamp down and cook until browned, about 7 to 10 minutes.